Stephen Aragon fills his 425-gallon water tank Tuesday at the Marvel Spring. Aragon, who lives in western La Plata County, has been hauling water from the spring for seven years. The Marvel Spring is still providing water to residents in western La Plata County because of a good water year in 2017. This year’s drought prompted the city of Durango to cut off new customers at its water dock. 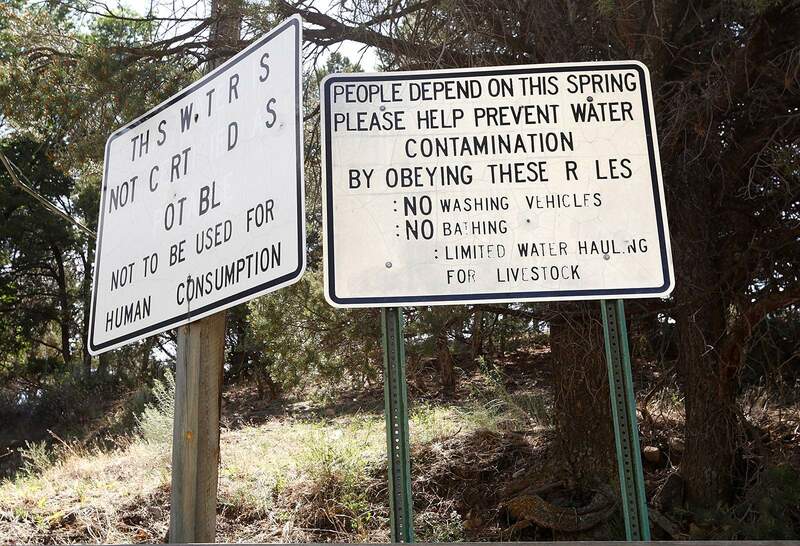 Residents in rural La Plata County are feeling the pinch of Durango’s decision to cut off new customers at its water dock. In May, the city of Durango announced it would not accept any new customers at its water dock on the south end of town. City Manager Ron LeBlanc said if the city took on more customers during this record drought year, it might force the city to enact water restrictions for residents. “We’re evaluating the situation with our water supply, and as soon as we’re able, we will allow new people to purchase a card,” LeBlanc said Wednesday. But La Plata County residents saw the move as a slight. The entire city of Durango uses about 3.2 million to 3.9 million gallons of water a day. By contrast, the current 1,220 or so water dock customers use only about 3.8 million gallons of water a year. “When I go into town, I have to cringe when I see people washing their driveways down and doing things that aren’t really a logical use of the water in this area,” said Barb McCall, who lives near Kline. Residents on the western side of the county, especially, have been put in a tough place, McCall said. Locally known as the “Dryside,” access to water has always been an issue for homeowners there, but it has reached new heights this year. People who need water have been forced to travel as far as Farmington or Bayfield, about a two-hour round-trip. The endeavor is expensive and time-consuming. And, with the unprecedented drought, more wells that typically have water are running dry. That’s created a new group of people that never before needed the Durango water dock. The Marvel Spring is still providing water to residents in western La Plata County because of a good water year in 2017. This year’s drought prompted the city of Durango to cut off new customers from its water dock. Pat Greer, a longtime rancher, said recent rains are welcome, but they haven’t done anything to significantly reverse the drought. He said most of his neighbors are having trouble getting water. A spring near the dispersed community of Marvel has been consistently flowing because of a good water year in 2017, but there’s no telling how long that water will last, Greer said. 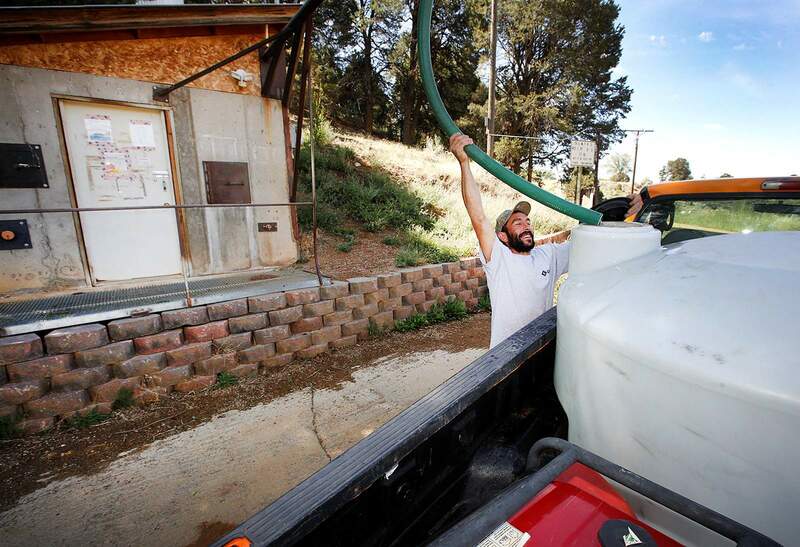 “A lot of people depend on this water,” said Stephen Aragon, who was filling a tank Wednesday. Zink said he’s heard of people going as far as pulling water out of irrigation ditches and using it for domestic purposes – which can be unsafe. LeBlanc said the city has an obligation to provide water to people within its service area. The city has tried to help residents in the outlying parts of the county, he said, but there is a limit to what the city can do. The city of Durango’s primary source for water is the Florida River. When needed, the city supplements water to its reservoir from the Animas River. Both rivers are flowing at record lows because of low snowpack over the winter. And, recent mudslides and runoff from the 416 Fire burn scar have cut off the city’s ability to pump Animas River water. The city of Durango hasn’t implemented wide-ranging water restrictions, but it has asked its top 20 water users to cut back. LeBlanc said those users have reduced water consumption about 10 percent, saving an estimated 1 million gallons a day. Efforts to bring water to the west side of the county have been in the works for decades. Just recently, a pipeline from Lake Nighthorse pumped water to Lake Durango, a milestone for larger plans to divert water to the area. But until that time comes, western La Plata County residents must find water where they can. Chris LeMay, Bayfield’s town manager, said the town’s water dock is still open to the public. He said use of the water dock is up 35 percent from a typical year. “I’m not saying the crisis is over, but it seems to be averted for the time being with recent rainfall,” LeMay said. Other water docks in the area are located in Oxford and Ignacio. 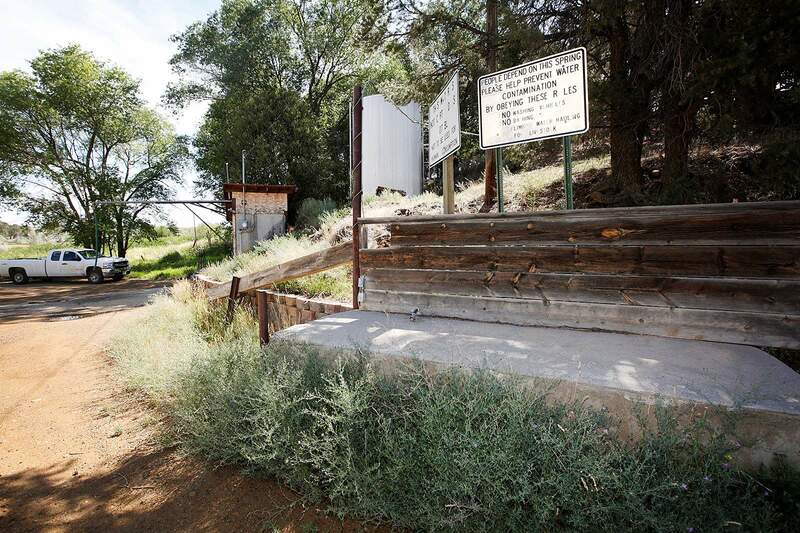 Attempts to reach La Plata Archuleta Water District, which operates the Oxford dock, and the Southern Ute Indian Tribe, which operates the Ignacio dock, declined to comment. Zink said he has heard the La Plata Archuleta Water District is hoping to add a second water dock. And, that La Plata West Water Authority is hoping to get a water dock out near the west side of the county. Calls to the district were not returned this week.